All the info you need about this year's festival. Entry to the main event is free and no ticket is required, but you will need a ticket for our Shipyard Sessions on Friday, Saturday and Sunday night. Or choose our Weekend Gourmet ticket for full weekend access, including priority access to the Chef’s Theatre. You can exchange your ticket for a wristband when you arrive either at our Info Stand on the Harbour Head during the day or at the Shipyard Stage Box Office in the evenings. See our map for locations. We have a camping field where you’ll need to purchase a ticket to gain entry to pitch up your own tent, park your campervan, motorhome or Winnebago. We also offer glamping in Bell Tent and Shire Huts. Certain areas of the festival will be operating later than others. Please contact ben@ilowhq.com for further details on trading and hours. The Festival campsite is open from Friday until Monday and all tickets are for weekend camping only. Dogs are not allowed. Address: Festival Campsite, Methleigh Bottoms/ Mill Lane Porthleven, Helston TR13 9LQ (please note that some campervans will be on a separate site – please follow signs or ask if you are unsure). You’ll need to purchase a ticket to gain entry to pitch up or park. In theory you can pay on the door but only if there’s space left so we would recommend pre-booking, especially for vehicles. We also offer glamping in Bell Tent and Shire Huts which are charged separately. See our Accommodation page for more info. The cost is £5 per car and includes unlimited use of the shuttle bus in to the festival. The shuttle buses will drop you off at the entrance to the Moors Field, or it’s about a 10-minute downhill walk. Could you consider liftsharing? We’ve teamed up with The Pasty Connection to offer an easy way to offer or grab a lift. Make a day of it and start with a relaxing and beautiful 40-minute stroll through the Penrose Estate from the FREE Helston Car Park, opposite Coronation boating lake. The festival operates Methleigh Farm Car Park with a shuttle bus that will drop you by the entrance to the Moors Field (or it’s a ten minute downhill walk). Parking is £5 per car. Using our car parks is essential. Festival Organisers and the Police request that you park in the designated car parks. Please don’t leave your car sprawled on the main roads – last year it meant the buses couldn’t get through and it’s no fun for anyone. 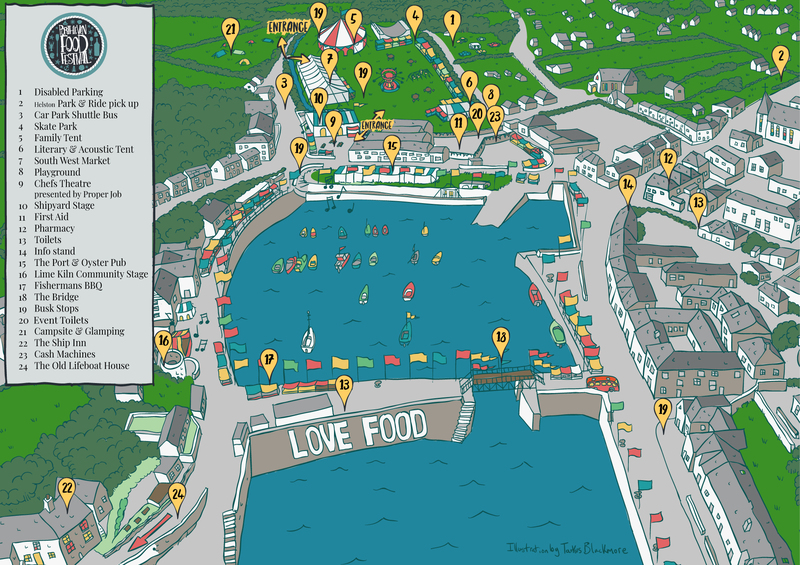 To minimise parking and access issues for local residents, the Festival has been closely liaising with Porthleven Town Council and our traffic management company JPS. 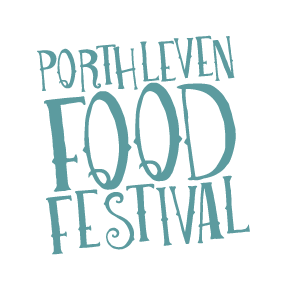 Information about access restrictions and road closures will be distributed to properties and businesses across Porthleven around two weeks before the event takes place. Limited spaces at the heart of the Festival. Ask a steward in a yellow jacket if you need to use these spaces. There is a £1 charge to cross the bridge over the Harbour. You’ll get a stamp for the weekend. The bridge makes it easier to get around but it costs a lot of money to put in and the charge helps us to pay for it. Here you can ask questions and find lost property. You’ll find the Info stall close to the Harbour Head. An ambulance with a team of trained paramedics will be located in the Shipyard. Ask a steward for directions. Dogs are welcome at the festival, however bear in mind that it does get very busy so they need to be ok with crowds. The Fireworks will be at 9pm on Saturday night. Dogs are not permitted on the festival campsite.